"Professor Renshon's provocative analysis of Barack Obama's personality and early presidential performance is to be recommended to anyone who wants to take the measure of 'no drama Obama.' All future Obama biographers should consult it." This analysis of Barack Obama is the third in a series of psychologically framed analyses of a sitting president, the others having focused on Bill Clinton and George W. Bush. 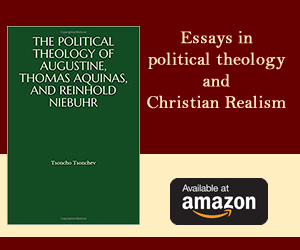 Each of those books began with both a psychological and political question. For President Obama, the political question was whether he could succeed in his quest to be a transforming president, one whose accomplishments reframe, redirect and then consolidate major policy departures, without further damaging the increasingly frayed fabric of American social capital and political community. The psychology question that motivated this book is quite simple: Who is he? Barack Obama's personal story is by now familiar, so the question then legitimately arises: Why another look back at the by now well know Obama story? One answer is that President Obama is truly a puzzling person and president to Americans from all points on the political spectrum. They simply aren't sure of who he really is, what he really stands, and above all what really motivates and animates him. As is the case with many presidents and especially one whose story has been told so often, a great deal of conventional wisdom has accumulated. Much of it is wrong, and almost all of it, as it is ordinary expressed, is inadequate. Yes, the president is "cool" and somewhat "detached," but how can such a person at the same time have an "empathetic temperament" and what of the range of feelings that normal people experience? Or consider this piece of conventional wisdom. A recent intellectual biography of the president says, "It has become a cliché to characterize Obama as pragmatist." But of course just because such thinking has become a cliché, doesn't mean its right. How is it possible for Obama to aspire to be transformational change president and still be a pragmatist? Is fundamental transformation by whatever means it takes to bring it about still pragmatic? For all the conventional wisdom, Obama remains in many important respects a mystery. In this book I offer what I hope, and believe to be a useful solution to that basic mystery. Understanding the personal forces that fueled the meteoric political rise of Barack Obama, and that now animate his presidency, involve an analysis focused on four substantive narratives of redemption. The first concerns Barack Obama himself and his struggle to come to grips with his own family, race, and identity. It is a story of temptations considered, but ultimately put aside in the service of finding and acting on the purpose of his life. It is a story as well, of his father's complicated legacy, first as an absent but iconic ideal and then as a fallen idol whose place in Obama's life needed to be redeemed. It is also a story of his complicated relationship with his mother who both loved him, yet left him on his own. Her unexpected and premature death at the time that Obama was almost wholly focused on his father lead him to reconsider her and elevate her, and her advocacy of "fairness," posthumously to iconic status, those redeeming her and their relationship. And it is now, with Obama as president, the larger issue of America's ideals and its failure to live up to them at home and abroad, and the president's efforts to reclaim, through example, policy and the force of his moral vision -- viewed through the organizing lens of "fairness" that is a legacy of his idealization of his mother, its legitimacy in the world. Unraveling those complex knots of experience, the psychology they helped to consolidate, and their implications for some of the most basic elements of President Obama's leadership and policy choices is the purpose of my analysis. Obama's ambitions, ideals, and leadership style begin, as they do for everyone, with his parent's psychologies and the options those legacies presented to him. In Obama's case, this includes the consequences of a union between an enormously talented but emotionally flawed Kenyan man and a free-spirited, woman with a somewhat romantic view of the world, whose openness to different cultures and ideas was certainly ahead of her time, but could also shade over into recklessness choices that had consequences, for herself but also for her son. Out of this quickly failed bi-racial union, Obama was left with an absent father and an uncertain personal and racial identity. Among the most possibly prophetic things Obama has said of his father is that he "had returned to his native Kenya bursting with intellect and ambition, only to devolve into an embittered bureaucrat because he couldn't find a way to reconcile his ideals with political realities." His father's failure weighed heaving on his son and is doubtlessly the source of a quote that Obama has brought up more than once: "Every man is either trying to live up to his father's expectations or making up for his mistakes." Obama's mother presented an idealized version of his absent father to Obama. Yet, there is little evidence in Obama's early ambition or performance of his trying to measure up to it. Once the difficult truth of his father's failed aspirations and life became clear though, they weighed very heavily on Obama and his father's life became a cautionary tale. However, in following in his father's chosen path, as a transformer of his country, there lay the possibility of redemption for his father's legacy and a continuation of his own. If Obama's ambition carries the weight of his father's personal and political failures, the nature of his values and ideals reflect the legacy of his mother's ideals, encapsulated in the cardinal virtue of "fairness" to overcome social injustice. The power of that legacy was enhanced by Obama's idealization of her after his father's iconic image suffered at the hands of reality. Obama emerged into his adulthood a deeply ambivalent man. He had mixed feelings about his father whom he idealized, but who had gotten knocked off the pedestal that his mother had constructed for him. He was angry about his mother's long absences, but came to idealize her during precisely the same time period when he need an iconic replacement for his father. He struggled with his racial identity and has not yet fully resolved the gap between the grievance and post racial elements of his identity. The same is true of his views and feelings about this country. He has expressed his love for this country almost as often as he fully details its failings, past and present, for which he aspires to be the instrument of its redemption and ours. In Obama's view the United States has much ground to cover economically and politically before it can redeem and live up to its true promise. 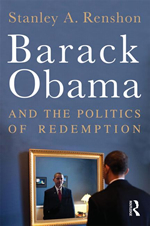 Redemption therefore is a key of both Obama's personal, policy, and larger political ambitions. Ironically, in the aftermath of the 2010 midterm elections and his own far from sure prospects for reelection, it is Obama's presidency and his political future that is most in need of redemption. And the question is: can he give up transformation for redemption. The long American presidential marathon is drawing to a close. Soon, one of two men, Barack Obama or Mitt Romney will become American's next president and the nature of our country will change as a result. I don't mean that last statement in the obvious sense that every president makes a difference, which they do, but rather that this particular election is unusual in really being a fork in the road election or, as I prefer to call it, a framing election.